Sponsored by Goldman Sachs Co., Ltd., the TOMODACHI Goldman Sachs Female Entrepreneurship Support Program aims to develop leadership skills for female entrepreneurs and is supported by Goldman Sachs employees from various sectors who collaborate with the participants by providing pro bono advice. In this age of population decline, dwindling birth rate and the aging population in Japanese society, women’s contribution to economic growth is progressing. However, the ratio of women entrepreneurs in Japan is extremely low compared with other countries including the United States. In order to overcome this situation, the program aims to foster female entrepreneur leaders who will become role models to promote the increase of female entrepreneurs in the medium term. Ms. Murata met a six year old girl who was forced into prostitution in Cambodia in 2001, and this encounter changed the course of her life. In 2002, she founded Kamonohashi Project to fight child prostitution. Since then, she has been providing livelihood opportunities in Cambodia through handicraft production to vulnerable women and girls to protect them from being sold into prostitution. Over these 11 years, she has been raising supporters and funds to bring substantial change to the issue of human trafficking, and also opened a factory in India. She was the youngest person to receive the Nikkei Woman’s “Woman of the Year 2006” Leadership Award in 2006. In 2007, she received “The Outstanding Young Person” Award by Junior Chamber International. Born in Chiba Prefecture in 1972, Tomoko Shirai lived in Sydney from age four to eight. After graduating from the Faculty of Law, University of Tokyo, she joined the Matsushita Institute of Government and Management. Ms. Shirai took part in the establishment of a free school in Okinawa in 1999, and was appointed as principal. In 2003, commissioned by the Ikeda City Board of Education in Osaka Prefecture, she founded Japan’s first publicly established and a private free school, Smile Factory. After the Great East Japan Earthquake, she established the Minamisoma Learning Center in Minamisoma City, Fukushima Prefecture. 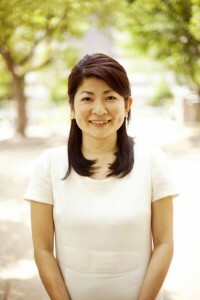 Ms. Shirai currently serves as Representative Trustee of the nonprofit corporation Toybox, and of Hatachi Fund, a public interest incorporated association. She is also a member of the education enhancement master plan working group for the MEXT’s Central Council for Education and a member of several free school-related committees.